Thankfully, it didn’t take me a year to write a 2nd post! This time it’s about a part of a project I worked on the last 2-3 months (in parallel to my PhD studies of course :P). The topic is again teleoperation, this time only using hardware (last post was about using a virtual environment) such as the UR3 robotic arm below (looks great doesn’t it?). The project I contributed to was demonstrated in Mobile World Congress 2017 in Barcelona at one of the booths of Ericsson. Why Ericsson? Because King’s College London (where I study) and Ericsson collaborate on standardizing 5G. I must say it was a pleasure working with everyone who participated. Anyway…with the amount of time I had available to learn how to use ROS etc and make the robot move, I could only create a gesture system that receives position commands from a client. The positions the robot could move were pre-defined. I wish I had more time to make a direct control application (with speed and range of motion limiters of course). Create a catkin workspace using ROS. 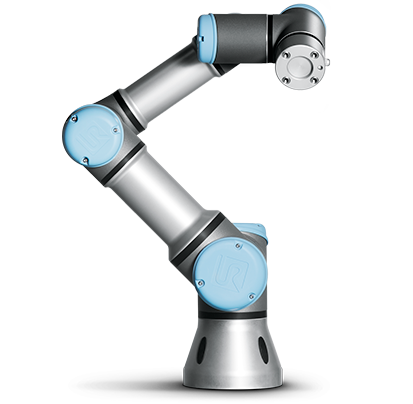 Download the ROS-Industrial universal robot meta-package. Download ur_modern_driver and put everything inside the workspace’s src folder. Compile with catkin_make (yes, you will probably need to install many ROS dependencies).